First praying mantis sighting of the year. 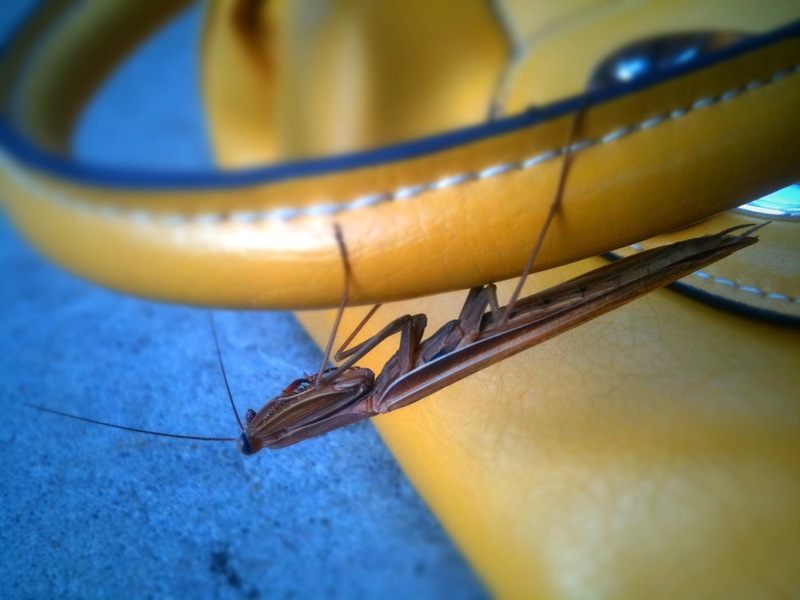 Sneaky fellow, showed up on a purse. On the patio at Oskar Blues. Hooray summer.